Completely unique to CUTis, Dr. Hanita Swanepoel initiated beer brewing as a hobby during her post-doctoral research fellowship. Her team soon grew to include microbiologists, food scientists, engineers, marketers and graphic designers. 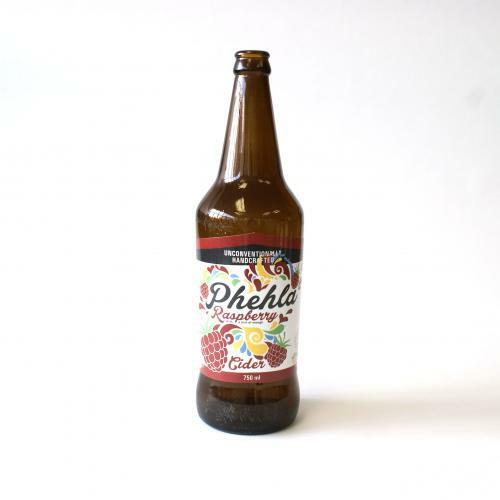 Phlehla brews have since gone on to win SAB’s best Spirit award. The brewery derives its name, Phehla, from one of the Mzansi’s urban legend stories. The legend is popularly believed, among local communities, that a Phehla beer is brewed by a woman ensures that her husband or partner will not have ‘a wandering eye’. Dr. Hanita Swanepoel cheekily says “the market always needs more beer”, as we currently seeing micro breweries and bespoke beer culture soar, she may be right. Clearly, the market agrees with Dr. Swanepoel’s stance, in 2016 the CUTis’ Phehla Brewery won the Best Spirit award for the team with the most energy and innovative ideas, as well as 3rd place for their Trappist Speciality Monk’s Ale. While Swanepoel adds “Beer should be savoured" she stresses the importance of enjoying beer and alcoholic beverages responsibly, “My vision is to be able to create a responsible beer culture amongst the CUTis students”. Phehla Brewery brings a unique Free State feel to the brewing industry as a whole. There is an opportunity to locally manufacture and distribute fine beer within the Free State, creating jobs and building experience in the brewing industry. Trade secrets! “Once you’ve tried our craft beer, you will no longer want to drink from any other brewery”, Dr. Swanepoel says of the taste of Phehla Brews. To create a culture of fine beer brewing within the Free State. While Dr. Swanepoel is the chief instigator and brewer at Phehla, a versatile team has assembled around her. This team includes microbiologists, food scientists, engineers, marketers, and graphic designers. This year, the team was on its quest to enter into the national challenge. They wanted their beer to be in the competition because it tasted good enough to share.